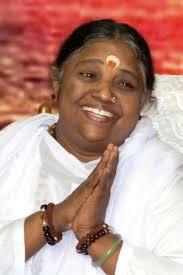 In April, 2017 on her Australian tour I met an extraordinary Indian woman, Sri Mata Amritanandamayi – affectionately known as “Amma” (Mother) – the hugging Saint. The moment she came into the room, I knew she would change my world. My heart busted open, the heat in my chest was intense, I hadn’t experienced that before, yet I hadn’t been in the presence of what they call an enlightened master before. I had no idea then who she was and even now, I don’t think anyone can truly know who Amma really is. All I knew was I had to go to India, I had to be in her presence. There was no ‘if I go’ it was only ‘when can I go?’. Eleven months later, with all my possessions sold, I was at her feet in her Amritapuri Ashram in Kerela, South India, for an indefinite time period. The more I was with her and living in her ashram, the more confused I became. I realised I don’t know anything much, there is so much illusion that covers truth, who is to know what is real and what is illusion? The longer I stayed the more questions I had and I didn’t know what to believe. My inner voice spoke. Believe nothing. Just notice, be the witness and remain present. My aim is to attempt to share with you what I noticed, rather than what different parts of me wish to believe or not. Given I am a huge skeptic, this wasn’t too difficult.